Having recently attended a great seminar on the future of print management and mobile printing I wanted to share some of the insights I learn’t. 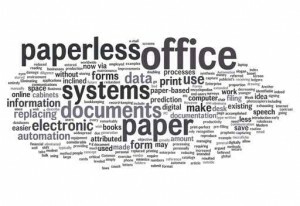 Many strive toward the paperless office, and for some it is a utopian ideal. But documents still drive many of our document processes. According to the Garner Group office printing represents 1-3% of a company’s annual revenue, which means that a $10 million company will spend between $100,000 to $300,000 on document printing. What is print costing you? Who are the biggest users of print? Then you need to have a print management strategy. 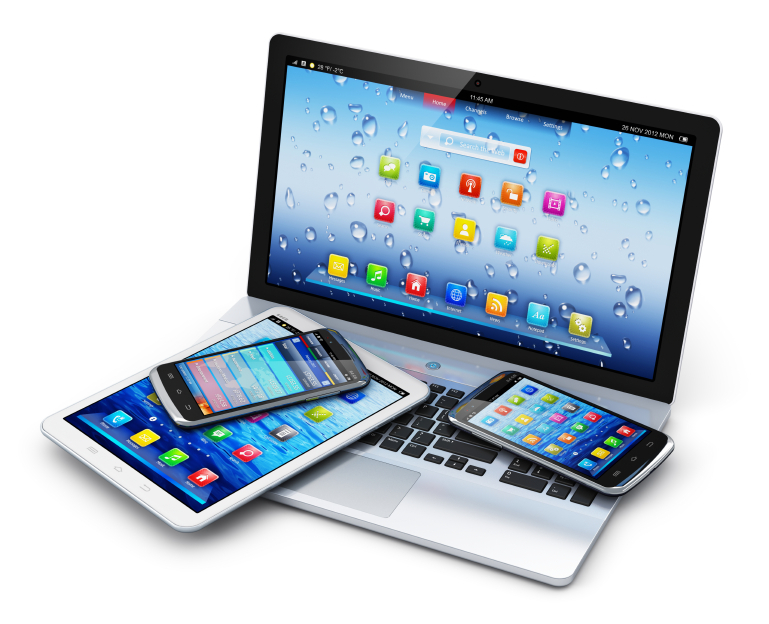 Although figures suggest that office printing volumes are declining it doesn’t take into account the increasing trend in BYOD. With increasing demands for mobile print solutions and employees working where they want, why should that not include printing what they want? Office culture is one of the primary reasons companies don’t change their print and paper practices. The exponential growth in mobile devices and their prevalence in meetings could make you believe that the use of paper is almost archaic and yet office practices result in many of us printing off that report or information for a meeting ‘just in case’ technology or the lack of internet connection fails us. Not surprisingly many companies don’t know what they spend on print, hardware/software and support. 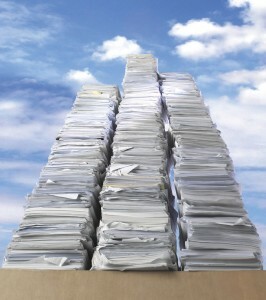 Given that documents drive paper processes it makes sense to know what your annual print spend is. Not knowing how many printers are in use across the office building, how they are being used and their associated running costs makes understanding the print spend almost impossible but it also means that the organisation may not be delivering what departments really need in the way of document output. Organisations, Universities, Councils all like print solutions because it enables them to show how much they have saved on print and paper usage. What is produced is done so wisely and not at the expense of the taxpayer. Outsourcing print to cut costs whether in the form of print management or managed print services ensures transparency of print costs, an increase in management control over printing, a complete audit review of what is being printed when and on what device. 2. You need to understand what you have and how it is used – what volumes are printed and by whom? 4. With your office devices being managed by a print management provider quarterly reviews of print volumes will ensure that recommendations will be put in place to optimise your printing. Your company has a business plan right? It also has a marketing plan that determines when and what you are going to ‘sell’ to your target audience? You probably have an HR strategy if you are more than 5 people so why would you not have a print management strategy? Even if it forms part of the marketing budget, you need to understand the cost of print and what that means to your bottom line. If you don’t know what you are spending on print then how can you manage what and where you print effectively? Managed Print Services – How to manage your print costs! Print Management Solutions for Professional Services Companies helps track billable expenses, saves time and reduces paper waste. Recover costs, reduce waste by implementing a print management solution. Using an effective print management solution tailored specifically for professional services companies provides more than just cost recovery. A dash to the printer to keep private information safe from prying eyes, wasted paper, resources and money from documents left unclaimed. Lost time and productivity because of queues at the printer waiting to collect your documents. How can the print flow be improved? Implementing a recognised print management solution will save professional services companies time, money and human resources. Documents are held in a secure print server until users authenticate themselves at the networked printer of their choice anywhere on your print network this includes departments and regional offices. Which means you don’t have to choose between security and economy as the print management system only releases documents when users are at the printer. 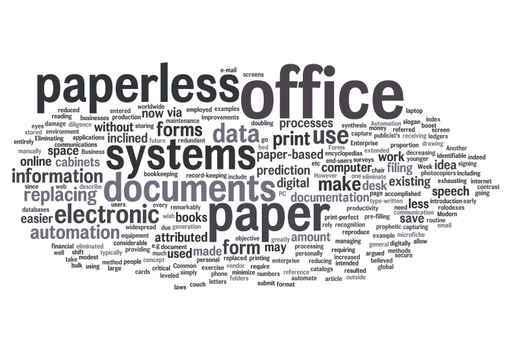 Wasted paper is reduced by adding accountability to encourage users to print only the documents they actually need. Card based ID systems simplify authentication and integration into a multi-vendor environment is straight-forward. Follow-You Printing® with secure document release makes it easy to keep confidential materials out of the wrong hands by accounting for and reporting all document output activity. Employee productivity and mobility are improved because users are no longer tied to one printer and users can output documents when and where they are needed thus avoiding the inconvenience of printers that are busy or out of service. By centralising your print flow and eliminating the need for single desk top printers print management software brings security of personal printers to every shared device. Follow-You printing® works with output devices from any manufacturer and provides one convenient administrative user interface for managing a company’s entire fleet of printer devices. Available as device embedded and terminal based software. Compatible with IPSec encryption and supports alpha-numeric login, PIN entry and magnetic strip or proximity card authentication. Contact Digital Print Management for independent advice on 01234-271156. Follow us on twitter, like us on facebook and connect with us on linkedin. We are actually quite nice people here! How print management software saves you money. How to automate print in your company employing print management software. Most companies have the option to insource or outsource their document printing and manage document flow thereby managing print costs. 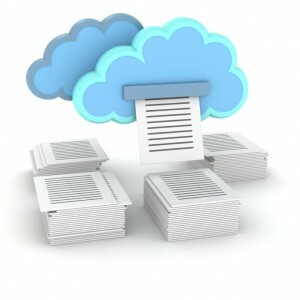 Print management software helps companies gain control and management of their printing to reduce costs, increase document security by automatically enforcing printing rules, authenticating users and identifying and allocating document costs. I’ve exemplified the benefits that can be had by outsourcing documents and demonstrated effective ways where organisations can save money. But, what if an organisation can’t or simply wont outsource these business processes due to system limitations or compliance to a specific process and or system? Like every story there are always two sides. Using a print management application with effective print controls automates and optimises the way print moves around a building. 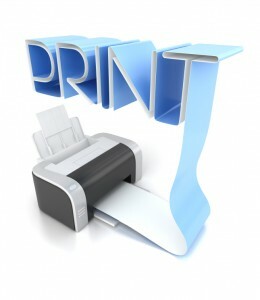 Setting specific print controls and denying users printing from certain open applications such as email and automatically re-routing that task to the most cost effective printer such as a mono printer rather than an ink guzzling colour cartridge printer can help drive down the print costs for a company. Industry analysts estimate that over 44% of printing is unncessary. 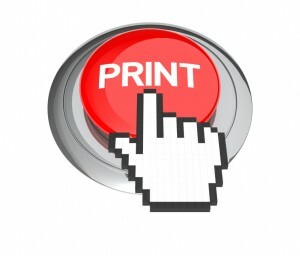 We print things more than once, instead of selecting the pages we print which might only be one page we end up hitting the “print all” button. Wasted paper, consumables, escalating electricity bills are the hidden costs behind unnecessary printing therefore opting for print management software helps companies regain control and management of their printing to reduce costs and increase productivity. 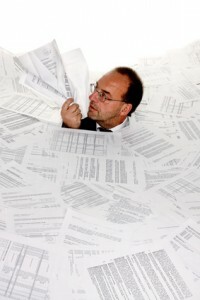 By measuring, monitoring and managing print activity, print management software provides a way for companies to gain a clearer picture of a company’s printing needs and then enables the effective deployment of equipment to meet those needs without spending capital on printing technologies that are either inappropriate for the tasks required or are so costly that the ROI will take years. The deployment of print management software tools within an organisation helps employees become more aware of their printing habits, provides tools to enforce print policies by re-routing print jobs to cheaper printers, reduce print/copy costs, improve document security on the network and eliminate waste and inefficiencies within an enterprise. 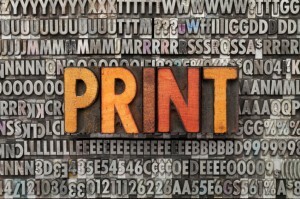 What exactly does a managed print service do for a company? Deploying a cost effective print managed service can save a company money if implemented in the right way. What do you do to keep print costs down? What strategies have you employed to reduce the amount of paper that flows through your company? Let me know what has worked and what hasn’t? 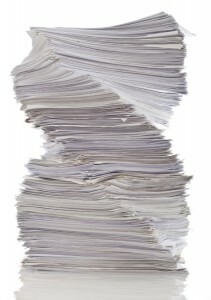 If your company is slowly going under paper then call us to discuss your requirements. In the first instance we will do a print audit free of charge. If you are here subscribe to our updates by hitting the RSS button. You can follow us on Twitter, Facebook, Pinterest, Linkedin and Google+! If this has been useful drop a comment into the box below we’d love to hear from you! Easy really, the majority of businesses don’t have a clue how much they actually spend on corporate print such as letter-headings, invoices, paper, consumables in fact, anything print related. This is because there is no methodology to managing the process from purchasing, stocking and re-ordering. A print management company can provide a fully automated and customised print management service which will help measure and control your printing costs. The first step in the process is understanding how much your current spend is on print this is achieved by carrying out a print audit of the various documents used by the business. A print management company seeks to understand why and how documents are used, what the order cycle is and whom the suppliers are? 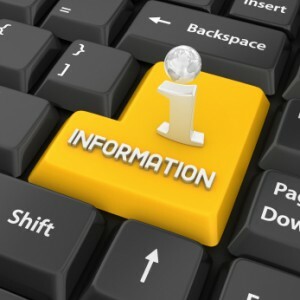 From the information gleaned determines the total print spend! A project manager oversees the whole process from start to finish culminating in a proposal detailing current print costs V cost savings on the various print items ordered. Emphasis will be to demonstrate cost savings through efficiency driven processes. Each quarter, a review of the usage of the various items is undertaken to see where further cost savings can be made. Managing your company print, usage and spend should be an on-going process of analysis and review. 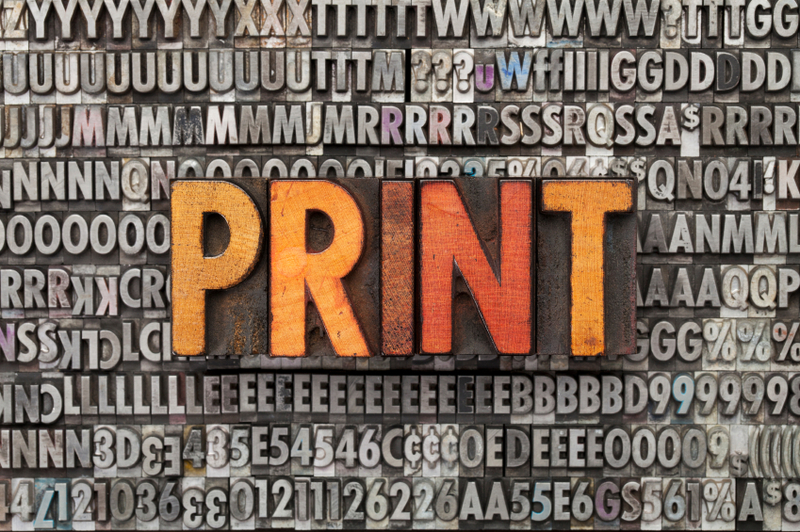 Managed Print Services is at the other end of the spectrum to print management and enables companies to manage the flow of print in an organisation. Equitrac print management allows you to automatically control and manage how print flows through your organisation – improving productivity and maximising time. Using print management software organisations are able to set up automated print controls and rules to optimise the way print moves around the company. Employees can be denied printing certain applications such as email by automatically routing jobs to the most cost-effective printer for that task. For example a solid ink colour device is more cost effective to print obligatory emails and letters rather than a colour-cartridge-guzzling desktop printer for colour runs, colour print can be prevented altogether unless user authorised. This results in wasted paper, consumables and larger electricity bills. 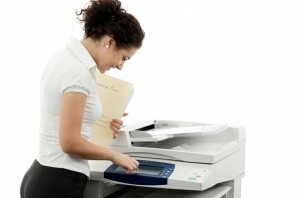 Print management software enable a more efficient, leaner and greener print environment. What do you think? 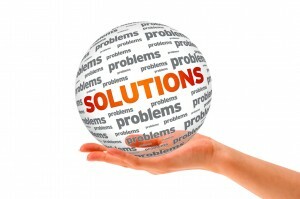 Have you implemented one or both solutions? How have they worked for you? Please do share your success or disaster stories. To learn more about how you can regain control of your office printing costs, contact us today. The new Digital Print Management website went live in May 2011. Whilst the corporate logo and colours remain the same the new site is designed to be informative and thought provoking for visitors by helping them understand the maze that is print outsourcing and by removing the myth that outsourcing can be costly, that it is flexible and will save time!